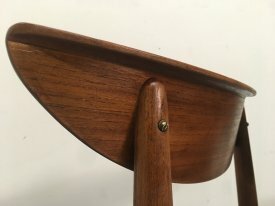 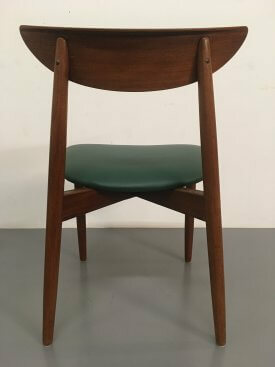 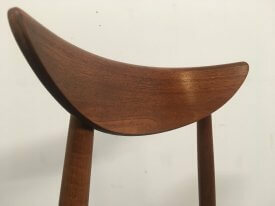 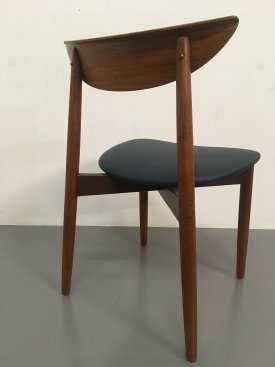 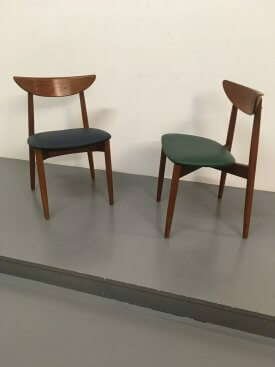 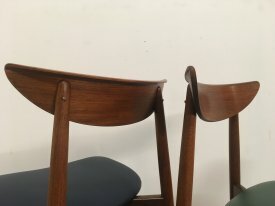 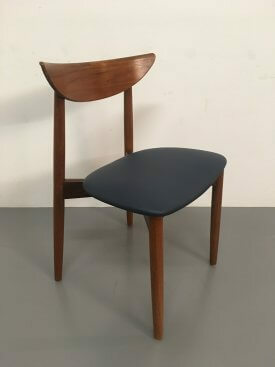 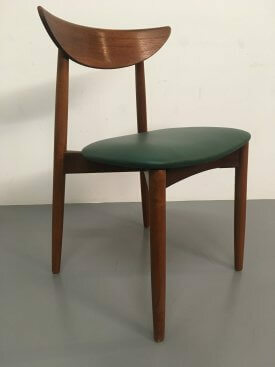 1960’s Solid, teak chairs by Harry Østergaard for Bovirke, Denmark. 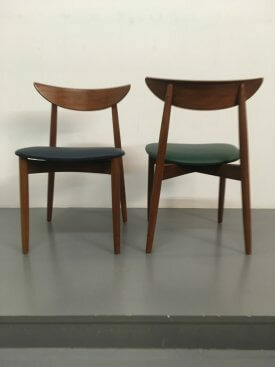 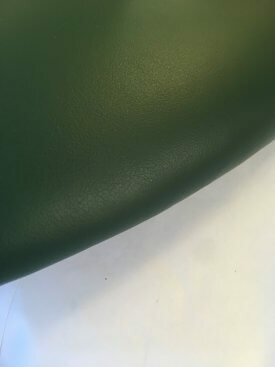 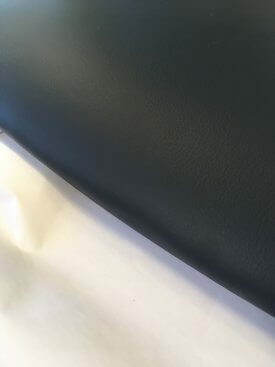 Gracefully curved backs and turned tapered legs with leather, reupholstered, floating seats. 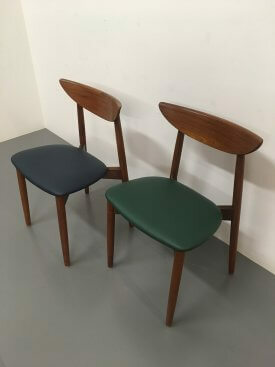 Green sold, blue available.